Emerging currencies are expected to take strain this week; Investec bumps Sibanye shareholding above 5%. Banking and asset management group Investec has acquired a further interest in the ordinary shares of Sibanye-Stillwater, taking its overall shareholding to 5.0393% of the miner's issued shares. On Monday, Sibanye-Stillwater [JSE:SGL] issued a statement saying it had received formal notification from Investec that it had required an additional interest in the ordinary shares on behalf of its clients. Sibanye-Stillwater is SA's largest gold producer and is the third-largest producer of platinum and palladium. 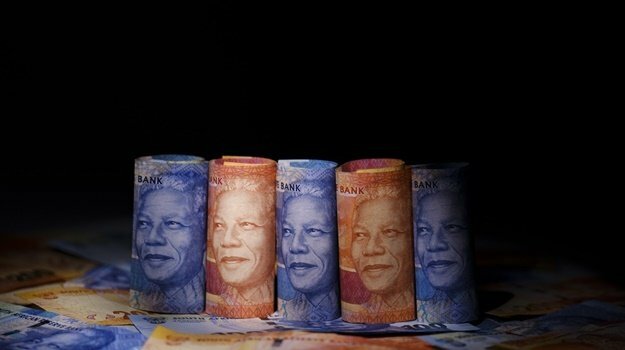 The rand closed at R13.89/$ on Monday, with TreasuryONE senior currency dealer Andre Botha having earlier commented that EM currencies were expected to take some strain this week. This is according to an executive who was giving evidence on Tuesday at the commission of inquiry probing allegations of impropriety at the state-run asset manager. Fidelis Madavo, the newly suspended executive head of listed investments at the PIC, was quizzed about how the AYO business came about ahead of its listing on the JSE in December 2017. The Reserve Bank's November leading business cycle indicator came out 105.5, versus 105.8 in October, down -0.3 m/m. "So far, the average for Q4.18 is lower than that of Q3.18, showing a very early indication that GDP in Q3.19 may slow materially, or even contract slightly, compared to Q2.19, due to the time lags involved (of around six months) – although significantly more data is needed to make a firmer forecast," Investec Chief Economist Annabel Bishop said in a report. "The December 2018 reading for the leading indicator is still outstanding, and, should it rise by an index point, would tip the Q4.18 indicator into positive territory, signaling firmer GDP growth in Q3.19 instead," she explained. "We estimate economic growth of 0.6% y/y for 2018, and 1.7% y/y for 2019, with the risk that 2019 could see weaker growth if global economy stumbles," she added. "Indeed, it has become a trend for SA’s economic growth forecasts to be revised down over the course of the year – with economic growth initially expected around 1.4% y/y for 2018, but now likely to only come out at 0.6% y/y instead, as the historical data for last year feeds through." The second quarter and third quarter leading indicators of 2018 warn of slower economic growth during the first and second quarters of 2019. "However, the leading indicators are just one set of data, and more data will be needed to confirm the likelihood of weakness in economic growth in 2019," she said. Tuesday marked the start of the World Economic Forum in Davos, where global leaders meet to discuss issues ranging from growth concerns to politics – subjects that have been of particular interest to investors lately. And it looks like the timing was just perfect: the International Monetary Fund (IMF) cut its global expansion forecast on Monday, warning fresh trade tensions could spell further trouble. The verdict today was clear, with the MSCI Asia Pacific Index losing 0.7%, heading for its biggest drop in almost three weeks. Markets from Shenzhen to Hong Kong, Tokyo and Mumbai were in the red. While investors wait for more news on the US-China trade spat, the focus shifts to where there’s a confluence of some of the biggest names in both the political and investment worlds: Switzerland. And this year’s summit is looking very different from 12 months ago. Shoprite shares fell more than 4% following the release of its operational update which reflected turnover remained flat over the six-month period ending in December 2018. The stock opened at R184 on Tuesday morning but fell more than 4% to R176.40 shortly after the release of the operational update. By 10:10 it was trading 3.23% weaker at R180.14. The operational update showed that total turnover increased by a mere 0.03% to R72.9bn during the period. Taking into account Angolan hyperinflation, the group's turnover declined 0.01%, the update read. The group's core business - Supermarkets RSA – grew sales by 2.58%. However, the group's non-RSA division of supermarkets recorded a decline in turnover of 13.27% (in rand terms) which impacted overall group sales performance. With US markets closed for Martin Luther King Jr. Day, global growth took center stage. Following the release of Chinese GDP, which showed the economy grew at its slowest pace since the global financial crisis, the IMF released a revised World Economic Outlook (WEO), adding to growth concerns," economist at RMB Global Markets Research, Mpho Tsebe, noted in a market update. "While the 2018 global growth outlook was unchanged at 3.7%, the IMF now expects it to average 3.5% and 3.6% in 2019 and 2020 – 0.2ppt and 0.1ppt below October’s WEO. "The revisions partly reflect trade tariffs enacted in the US and China as well as well softer momentum in the euro area. The key risks to the global growth outlook are an escalation of trade tensions and tighter financial conditions," she explained. "South Africa’s growth forecasts were unchanged at 1.4% and 1.7% for 2019 and 2020, an uptick from an estimate of 0.8% in 2018. "These forecasts are more-or-less in line with our own estimates of 0.7%, 1.3% and 1.9% for 2018, 2019 and 2020," she said. "A deterioration in the macro outlook poses a risk to the fiscus, which is a threat to SA’s ability to maintain its last-remaining investment grade credit rating of Baa3 assigned by Moody’s." As for data releases on Tuesday – SA's leading indicator is due and it will be interesting to see if the indicator's "positive momentum" was maintained for the remaining two months of 2018. The last reading in October increased 0.2% month-on-month to 105.7. "A sustained improvement in the indicator will affirm expectations that growth is likely to improve in 2019," she added. The US will release data on existing home sales at 17:00. Asian stocks and US futures dropped Tuesday as investors mulled the latest batch of headlines on global growth and trade, while Treasury yields pushed lower and the yen higher. Without any direction offered from American markets that were shut for a holiday Monday, shares declined from Tokyo to Sydney to Shanghai to Seoul. News that the IMF was cutting its global growth forecast to the weakest in three years merely cemented an already downbeat mood. The offshore yuan slipped after President Xi Jinping stressed the need to maintain political stability in an unusual meeting that suggested fresh concerns about the implications of the slowing economy. According to an abridged pre-listing statement issued after markets closed on Monday, MultiChoice said it will list on the "broadcasting and entertainment" sector of the stock exchange. Naspers had announced its intentions to unbundle MultiChoice in September 2018. MultiChoice operates across 50 countries across sub-Saharan Africa. As at march 31, 2018 the group has 13.5 million subscribers, generated more than R47bn in revenue and reported an operating profit of R6bn. In its own shareholder notice issued on Monday, Naspers reiterated the reasons for the unbundling- such that Naspers' future business strategy to become a global consumer internet company. The local currency started the day at R13.82/$. Market analysts are focussing on the IMF's global growth forecasts for 2019 and 2020 – which have been revised down, corporate treasury manager at peregrine Treasury Solutions Bianca Botes noted in a market update. "This, together with a slowdown in Chinese growth in Q4 2018, saw market participants flocking to safe haven assets, pushing the dollar rally to a two-week high against most major currencies, with the local unit moving marginally lower during overnight trade," she said. "The UK opposition party has tabled its recommendation for a second referendum in the midst of the Brexit turmoil. "With a quiet data day on a local front, the focus in the US will fall on new home sales," she said. The expected range of trade for the rand is expected to be between R13.76/$ and R13.94/$.